Below is a list of Lunch and Learn Course Providers. Lunch and learns are delivered free of charge to architects, engineers, interior designers, and design professionals. AIA Education Providers typically provide breakfast or lunch free of charge. 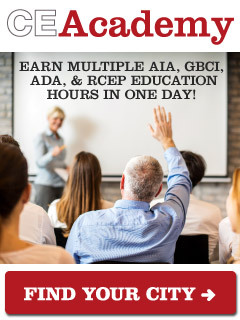 The free AIA lunch and learns are delivered by the providers below, not the Ron Blank team. Providers include building product manufacturers, non-profit organizations, and trade associations. Course topics include: material selection, best practices, code requirements, and design strategies. Please submit a lunch and learn request and educate your AEC firm. American Specialties, Inc. (ASI), located in Yonkers, NY is a leading manufacturer of commercial stainless steel washroom accessories.This Division 10 manufacturer offers washroom accessories specifically designed for educational, healthcare and security facilities as well as manufacturing custodial accessories. Founded in 1957, Columbia Forest Products is North America’s largest manufacturer of hardwood plywood and hardwood veneer products. Columbia’s decorative interior veneers and panels are used in high-end cabinetry, fine furniture, architectural millwork and commercial fixtures. Columbia’s products are sold through a network of wholesale distributors, mass merchandisers and original equipment manufacturers from three distinct business units: plywood, veneer and global services. Since its beginnings in 1945, the Karl Storz family company has grown into a global manufacturer and distributor of endoscopes, medical instruments, and devices. We are no giant on an international scale but a leader in the things that matter: creativity, flexibility, and expertise. LOTTE Advanced Materials built up ABS and PS plants in 1989, signaling its first major step into the market. Since then, the company has been expanding its business rapidly in a variety of categories including PC, solid surface and engineered stone, helping customers achieve faster growth and resounding success. LOTTE Advanced Materials provides an integrated package of innovative solutions tailored for customers, incorporating the latest market trends and R&D for sustainable growth into its efficient operations and global network. For over 25 years, the Norbec Group has been offering innovative, value-added solutions to its customers' needs. With the introduction in 2008 of the Norex® and Noroc® lines, Norbec Architectural now offers a complete range of solutions for building envelopes that combine advances in insulation with construction expertise. Renlita Custom Opening Solutions specializes in custom design and fabrication of vertical and horizontal operating doors. With a variety of options and capabilities, Renlita products can be used in retail, commercial and residential applications. 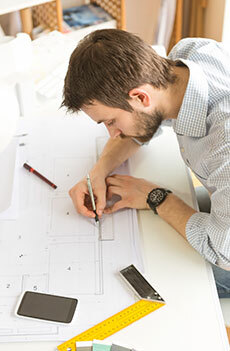 Renlita’s in house design team works with architects and customers to meet their individual design objectives. Every project is shipped complete including finishes, glass, cladding, motor and accessories. U.S. Rubber manufactures and distributes high quality flooring and underlayment products made primarily from recycled rubber tires. You will find U.S. Rubber's products in airports, gyms, hotels and all kinds of commercial and industrial buildings worldwide. Viega was founded in 1899 by Franz-Anselm Viegener. Today, Viega has become an international market leader with 10 locations and over 4,000 employees worldwide. But at our heart, we are still the same company our founder started, driven by the same passion for quality and the same standards of excellence. We are more than a company; we are family. Our employees make Viega what it is, and we are dedicated to their individual success. When our people achieve great things, so does Viega. We don’t limit our focus from one quarter to the next. Our goal is excellence from generation to generation. "Ron, I wanted to personally thank you for providing this very important service to the Architectural profession. I not only can keep up with Learning Units, but I usually learn something. You are doing a great job and I hope the work is rewarding."